Apple finally wants to makes it move which would free it from dependence on Intel processors. 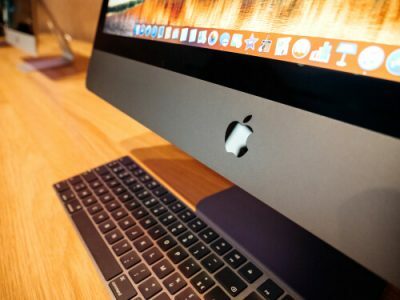 Reports say that Apple has actively started its work to come with up Macs that will have the company’s CPUs. Apple-designed CPUs could hit the market as early as 2 years from now. One such report came out from Bloomberg. This report claimed that Apple had started work all on its own in order to come up with CPUs for its Mac machines. The intent is pretty clear. Apple, ultimately, wants to replace the widely-used and appreciated Intel chips in the company’s computers. It wants to do that because it wants to have CPUs that are designed in-house. According to other Bloomberg sources, Apple is calling this new project internally as Kalamata. The report also mentions that the project has actually not come out of its early stages. In fact, it is in its planning stage at this point in time. However, the executives at the company have approved the project. The Bloomberg project also mentioned that Apple could actually start shipping its computers which are based on the company’s own processors inside three years. That would mean the company could potentially rival Intel CPUs as early as 2020. However, the report also said that the introduction of new CPUs would only form a part of the company’s multi-step transition. Apple actually wants to go ahead with a much larger effort which would see the company making Macs and iOS devices more seamlessly and similarly together. Of course, it is also possible that the company could yet drop or change these proposed plans in the coming months and year. The latest report from Bloomberg is only one of a series of reports. And all these reports have helped publications to lift the veil off the strategies and inner workings at Apple. This series of posts also included the related story that talked about another one of Apple’s project which the company dubbed Marzipan. The Marzipan project also has an interesting goal. The goal of the company with the Marzipan plan is to actually enable software developers to first create and then publish applications. But these applications would have the added advantage of working in both macOS and/or iOS. Under this project, the company will aim to develop an app which users could use either with a mouse/trackpad and/or touchscreen. It will all depend on which device the user used to run the application. Reports say that Apple wants to introduce such features as early as 2018 (this year). Apple has had enough of Intel delaying its upgrade plans. If the company is able to do so, it will likely want to announce the project at Apple’s WWDC (WorldWide Developers Conference) in the month of June. In the latest report, Bloomberg also noted that the company would release the revised Mac Pro as early as next year. And the revised version of Mac Pro will also include the Apple-developed computer chip. If it turns out to be true then the case would be quite similar to the T2 chip that the company installed in its iMac Pro. Bloomberg also mentioned in its report that other Apple Mac laptops would also receive the same Apple-developed chips later this year. Currently, the MacBook Pro (the one that comes with a Touch Bar) makes use of the T2 chip’s predecessor. That is, the T1 chip. The MacBook Pro currently uses that in order to manage the Touch Bar. But it handles a lot of other things on the laptop as well. Publications such as Ars Technica had actually come up with its own suggestion apart from what Bloomberg mentioned in the report. Ars mentioned that it was entirely possible that some of the company’s T2 chip’s capabilities would also hit Apple’s laptop lineup as well. According to Ars, the company could do that with the T2 chip itself or develop a new chip to achieve the company’s goals. Ars Technica also reached out to the company for a clarification and/or confirmation on everything that the Bloomberg report mentioned. As expected, Apple decided to not comment on the matter. Why Would Apple Want To Do Something Like This? Readers should know that this rumor is a very old rumor that has never left Apple’s side. Various media publications in the past have given this rumor a bit of air by popping it up several times in the past. The rumor basically started to pick up the pace ever since the company announced that it would switch to Intel from its PowerPC architecture back in 2005. With that said, it is also true that Bloomberg has been on a roll lately. In other words, the publication’s track record when it comes to Apple scoops has been pretty strong in recent months. Moreover, it also makes sense that Apple would make such a decision because of the timing. In other words, this is a far better time for such as effort now than previous years for Apple. However, that does not mean such an effort would not come with its own potentially significant downsides. Then there is the fact that even if the company decides to go all in as far as this new strategy is concerned from now, the actual transition would probably still take several years. No one should find it surprising if it turns out that the vast majority of the prior Apple rumors represented nothing but earlier explorations that the company abandoned. Apple may have suspended those projects because of timing or a host of other reasons. What readers should understand here is that the new project which would see Apple making its own chips may represent something that the company wanted to pursue and realize for a considerably long period of time. As to why the company finds this idea so attractive? With New In-House Chips Apple Could Finally Free Itself From Intel’s Roadmap. Apple or at least its Mac lineup has always had to owe Intel chips and Intel’s roadmap for probably slightly more than a full decade. And while there isn’t a whole lot wrong with that, sometimes it has produced rather negative results for the company, especially in the past. Apple introduced its Retina MacBook Pro back in 2012. Apple has already done the same for some of its smartphone devices and that’s what makes them different from all other smartphone devices. After its introduction, the internals of MacBook Pro had to endure painfully long stretches of time without seeing any major new features. Or even some performance improvements. 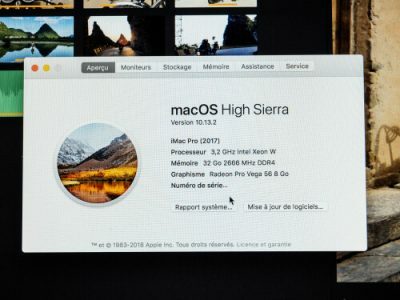 MacBook Pro consumers sometimes had to wait for more than a total of 500 days between a rather modest refresh and Touch Bar models which the company only released in 2016. Of course, it is possible that Apple had other reasons for the giant gap. But such long delays for processors that best suited the company’s machine in the supplier’s (Intel) roadmap could not have helped the cause of Apple. That’s where the biggest advantage of designing the company’s own chip for its Mac products would come from. If Apple goes through with the plan then that would mean that it would primarily have to rely and probably wait only on the company’s own internal processors. And perhaps even for the company’s manufacturing partners. Apart from that, the company would have all the opportunity in the world to iterate its Mac lineup. The current problem of the infrequency of relevant updates of Mac machines has formed the most prominent point of consternation among the majority of Apple users. And time after time again, those required updates had been tied to none but Intel’s own progress. Apple wants to differentiate its products. From all its competitors who are fighting each other for more market share. One only need to take a deep look at all the recent Apple products. Apple has consistently shown the desire to develop and build its own custom hardware in order to differentiate itself from others. All of these smartphone devices come with several features which no other smartphone can offer. And it’s mostly down to that A11 processor. Once Mac becomes intel-free, Apple would have an easier time working towards its objective of fast updates and app interoperability. The A11 processor has many features which either comprehensively unique or are distinct in terms of their execution. 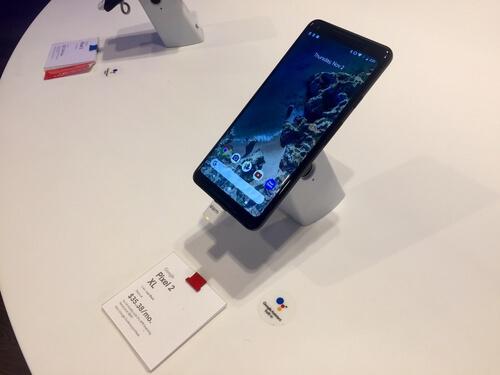 That is especially true when one compares Apple devices with some of the other smartphone devices that come installed with pretty common chips such as that of Qualcomm. Apple products are already different. They are different because the company builds them a sort of an ideological foundation. That ideological foundation says a lot of things. All of these functions fall within the realm of possibility because the company has decent control over almost all aspects of both its software and its hardware that the company ships with its premium products. This is where the base of the problem lies. Apple dependents on Intel for its processors. And that fact alone runs opposite to the company’s ideology of superior devices. On the other hand, it is also true that this dependence has come about as a result of a necessary compromise. Apple wants to keep Mac machines competitive. Moreover, it also wants to make sure that it can easily entice developers to develop and build software for its machines. Intel helps Apple in that respect with processors that are widely available in the market and hence are much more easy to deal with. This is the part where timing matters a lot for companies such as Apple. Apple is not the same company as it was when it came onto the scene. In other words, it has amassed a great deal of experience. The company knows a lot more about designing its own computer chips. Readers also have to remember the fact that most rumors related to ARM processors in Apple Mac machines came true quite recently. They came true as various publications came to know that indeed Apple had made use of the previously mentioned T2 and T1 chips in its iMac Pro and MacBook Pro respectively. We also know that Apple has already switched to designing the company’s own Graphics Processing Units, GPUs, for its new iPhone models. The company’s A11 processor is anything but ordinary. A highly competitive product that can offer great performance. Ars Technica took the help of its own benchmarks and showed readers that Apple’s A11-based chips that ship with iPhone 8 and iPhone X can and do outperform the majority of other companies’ flagship smartphone devices at a decent range of computer-related tasks. In all likelihood, that is not the case if someone compares the Apple-designed chip for its Mac machines with some of the premium offers that come from Intel. 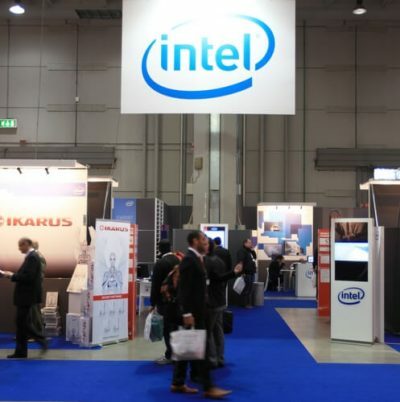 Intel has an intense focus on the performance of its chips. With that said, it is also true that Apple machines can still achieve some comparable advantages. Advantage such as good battery life. Perhaps it is possible that technical leads working at Apple might have managed to develop a lot of confidence in their ability to understand the exact cocktail of performance and power usage. This is what Apple desires. And these technical leads might have found out that the company would find that objective more achievable with the company’s own custom designs rather than with that Intel has to offer. Moving To Its Own Chips Would Allow Apple To Leverage Its Massive Software Ecosystem That Comes With iOS. As we have mentioned before as well, many reports now suggest that Apple has actually already begun to make good progress. To put it another way, the company has set up the stage for its iPad/iPhone?mac app features such as interoperability. If the company does bring iOS apps to its Mac machines then that would give Mac users access to a robust, vibrant and of course, new software ecosystem. There is no doubt about the fact that most Mac users would welcome that addition. Perhaps the company also wants to support its Mac App Store which has always struggled to attract the comparable amount of traction from users. The company has already laid plans to go ahead and discontinue its support for 32-bit Mac applications in the very near future. That means the software application support features for Mac machines are going to go in a single direction. In other words, any type of support for Mac applications will only get worse. We have seen that happening with some of the most popular Mac apps. Apps like the official Mac Twitter app. The company has discontinued the app. And in the process of doing so, it has favored web applications. Most of us would already know why that is. Web applications are easier to deal with. Especially when it comes to multi-platform support. Contrast that with the official iOS ecosystem. That ecosystem has gained strength year after year for the past many years. Even with that, no one really knows the exact details of the company’s efforts to make its applications more interoperable. Of course, if the company does decide to make both platforms run on a similar architecture then that would make it much easier for the company to achieve interoperability for its apps. It would also make it less troublesome for the company to provide support for such applications. Following on from previous points, Apple has already made some pretty reasonably sized movies in order to bring all its apps closer together. Engineers working at the company have already rolled out the company’s shared APFS (Apple File System) file system. Everything that the Bloomberg report discussed so far may sound like rosy ideas. So it is always better to get back to reality. And the current reality is that the company’s platform actually may not have the required features to ready itself for such a change. On the one hand, it does make sense for a company such as Apple to start sailing on the company’s own journey now. But on the other, it is highly likely that the company won’t have the necessary resources to arrive at its intended destination. Complete independence from companies such as Intel. Things might change in several years time now. Some experts say that Apple will have to push that 2020 target to a later date. A much later date than the one that Bloomberg has named as the company’s earliest and first launch window for its Intel-free Mac machines. However, if somehow Apple does launch Mac powered by its own chips in 2010, it would only come as a specialized product in the company’s Mac lineup. And we know that the company’s Mac lineup still consists of many Intel-based machines.